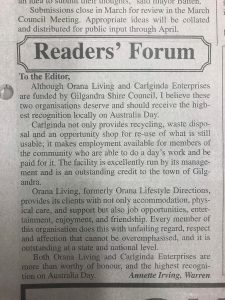 Thank you to Annette Irving from Warren for your feedback in The Gilgandra Weekly regarding Orana Living and Carlginda! 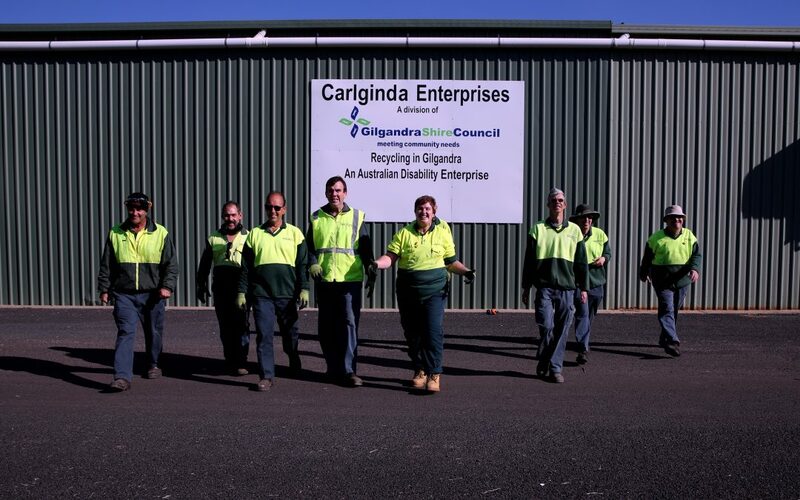 Annette writes, ‘Orana Living, formerly Orana Lifestyle Directions, provides its clients with not only accommodation, physical care, and support but also job opportunities, entertainment, enjoyment, and friendship. Every member of this organisation does this with unfailing regard, respect and affection that cannot be overemphasised, and it is outstanding at a state and national level’. Thank you Annette, we highly value our staff and employees and are glad you do too!